Officially established in 1852, Galice was once known as “Galiceburg” which was a short distance up Galice Creek from Skull Bar or Lower Town at the mouth of the creek. 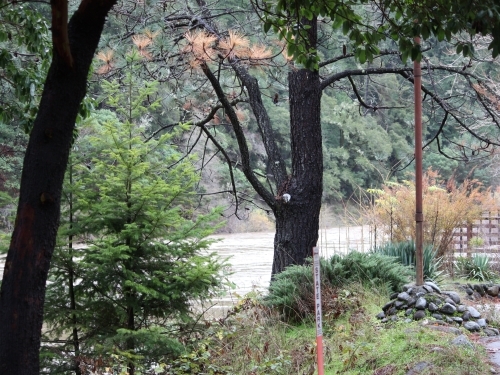 The present Galice community is downstream from the creek and located above the Rogue River. 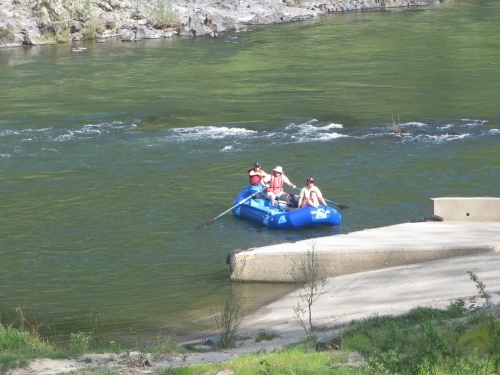 Galice is the rafting hub of the Rogue River. 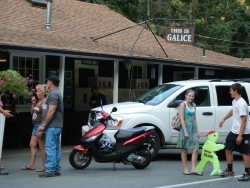 People from all around the world congregate at Galice for their summer adventures on the Rogue River. Galice received its name from Louis Galice, a French miner who was in the first group of gold prospectors. By 1854, the Galice Mining District was formed making it the 3rd mining district in southern Oregon. 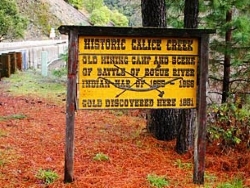 Galice was established when rich placer gold finds brought large numbers of miners into the area and later the women and children. One of the largest historic mines in southern Oregon, the Old Channel, is in this area. Travel through Galice until 1911 was done on a narrow road, rough with many chuckholes, dusty in the summer, muddy in the winter, with very few turnouts to pass. Horses and wagons brought all the supplies into the area, utilizing the Massie Ferry (near present Indian Mary Park) to cross the river. The first Hellgate Bridge was built in 1916 for auto travel. Now a two-lane, paved highway makes the trip into the area easy and enjoyable. Logging and a lumber mill were important in the 1950’s and 1960’s. Today, the Galice community services the recreational needs of those desiring to enjoy the Rogue River with the Galice store, restaurant, overnight lodging, whitewater rentals, and shuttle services. Mary Lou and Gilbert “Gil” Thomason purchased the Galice Resort in 1981. At that time, the “Resort” was made up of a tiny store/restaurant combination. 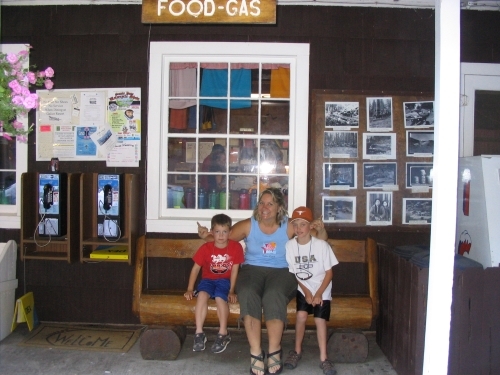 That first year, Gil and Mary Lou hosted their first BBQ on the street in front of what is now the restaurant/store! 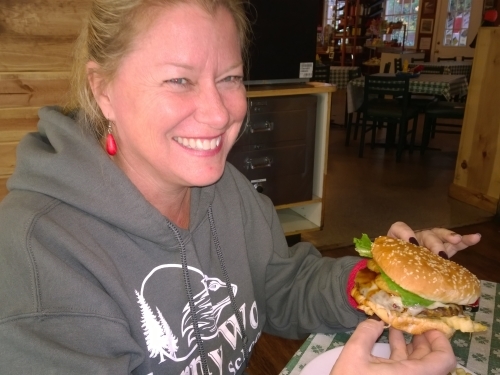 Mary Lou says, “Gil was the grease on the wheels at Galice. We worked as a team but Gil had the vision that this tiny restaurant could be something much bigger. 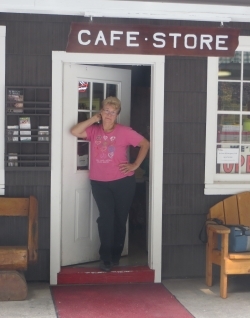 That first BBQ featured steaks, corn and watermelon—and it was a surprising success!” Mary Lou continues, “The next year we added on a small deck to the restaurant so folks could view the river and then we kept adding on as the business grew. That first year, Galice began renting rafts. Gil and Mary Lou bought 6 rafts; there was only one day that year that all six were rented out. Mary Lou says, “And we thought THAT was BIG business!” As the whitewater rental business grew, Galice built a boat shed to house the whitewater river rental supplies. The corporation began offering shuttles due, in part, to the need to get guests back to Galice after a day on the river. Mary Lou remembers a friend saying to her and Gil in that first year, “You’ll starve out there…” But she and Gil worked hard and kept adding to the business. In 1989 the two built their personal home, which is located above the Galice Lodge, and then in 1991 they built the lodge to accommodate all the guests (and large groups) who wanted to stay on-site. The house known today as the, “Riverview House,” was built by Annie & Arlene; two women who originally owned Galice. They built the house after they sold the Galice property to another couple in 1979 (Mary Lou and Gil purchased Galice from this other couple). Eventually, Annie and Arlene sold the Riverview house to Debbie Thomason and they lived onsite for many years assisting with the business. “Gil was a visionary. Together, we always knew we could make it,” says Mary Lou. 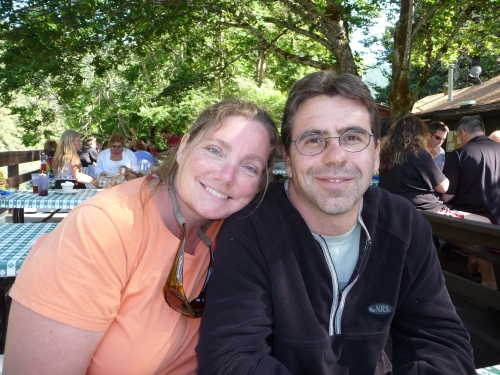 Sadly, Gil Thomason passed away in March of 2011 but Mary Lou still operates the Galice Lodge. 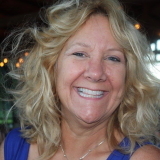 Today her daughter, Debbie Thomason, owns and operates the entire corporation. My mom and dad, Mary Lou and Gil Thomason started a small business in the early 1980's. Today we have grown to be one of the premiere resorts on the Rogue River. Come join us and see what the 'Galice Experience' is all about. "I stayed at the Galice Resort this last month and I will definitely be returning! The riverview house was awesome! Everything was so beautiful, and the whole house was very clean. 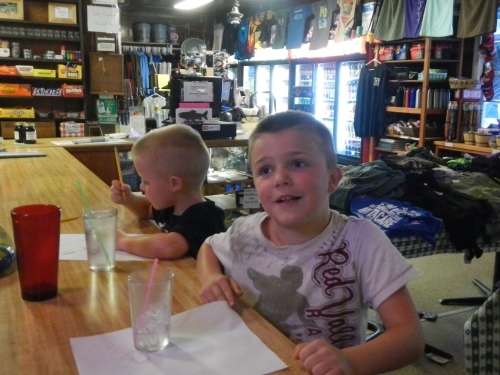 The restaurant was great and the staff was so helpful! It's a great place to just get away and relax! And they even have WiFi 20 miles into the woods! I will recommend Galice Resort to anyone! Loved you guys "
The Best Place On The Rogue! "There are few places more peaceful than the deck at the Galice Resort Restaurant and we have had nothing but scrumptious food and attentive service on each and every trip. We look forward to our visit every year. The place has a laid-back, relaxed feel which is what one expects from a remote river sanctuary. I always return home with that just-right, perfect vacation feeling and immediately begin planning by next visit. See you in July! " One Of My Most Favorite Places!